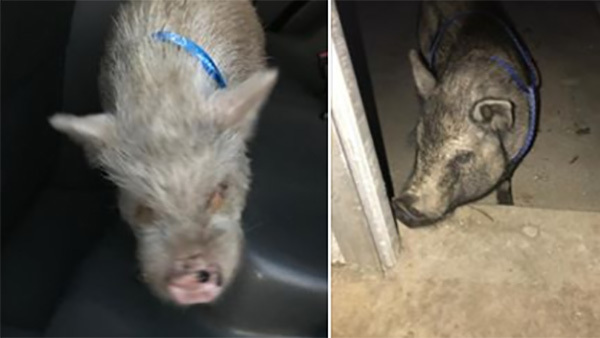 ELKINS PARK, Pa. (WPVI) -- Police are looking for the owner of a pair of pigs found wandering in Elkins Park, Pa.
Cheltenham Township police posted pictures of the pigs to their Facebook page on Thursday evening. They are urging the animals' rightful owner to come forward. Of course, proof of ownership is required! Until then, police note, the animals are "hogging space in the kennel."